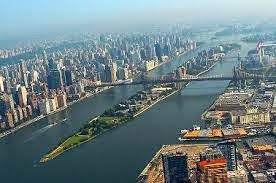 Technically considered part of Manhattan, the two mile long island in the middle of the East River is a world unto itself. The 147 acre tract is home to 12,000 New Yorkers and best accessible to NYC via a Tram ride. It was once called Blackwell Island, then Welfare Island. In it's long history it's been home to an insane asylum, a prison and smallpox hospital. Sketchers can enjoy long river walks, with unparalleled views of the river and breath taking views of New York City. When: We'll meet at 10 AM. Running late? Who cares, join us when you can. We'll be easy to find. Where: At Tram Plaza at 60th Street and Second Avenue. Best bet - bring a Metro Card, there is no booth although there are vending machines. 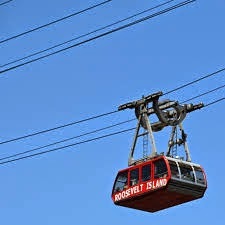 Note: The tram is wheelchair accessible and Bicycles are permitted on the tram. 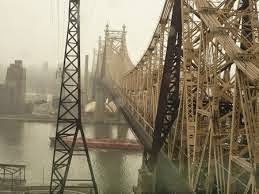 Morning: Roosevelt Island South (Southpoint Park) - From the Tram terminal we'll head south to the Roosevelt Memorial designed by Luis Kahn. Originally planned in 1974 it took until last year for construction to be completed. 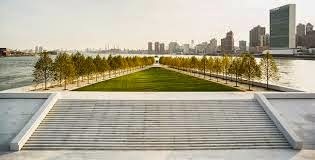 It's an impressive tribute by an important architect for an important President. From the tram, it's a 10-minute walk south. Lunch: 12:00. We'll walk back to the Tram area for some lunch. There are one or two places to buy food. You might also consider bringing your own lunch for a picnic approach. Afternoon: 1:15 we'll leave for the Northpoint Light House. Note: From south to north is the equivalent of 35 city blocks or a 20-minute pleasant walk from the tram. The alternative is to use the island bus system (which costs a quarter to ride either way). 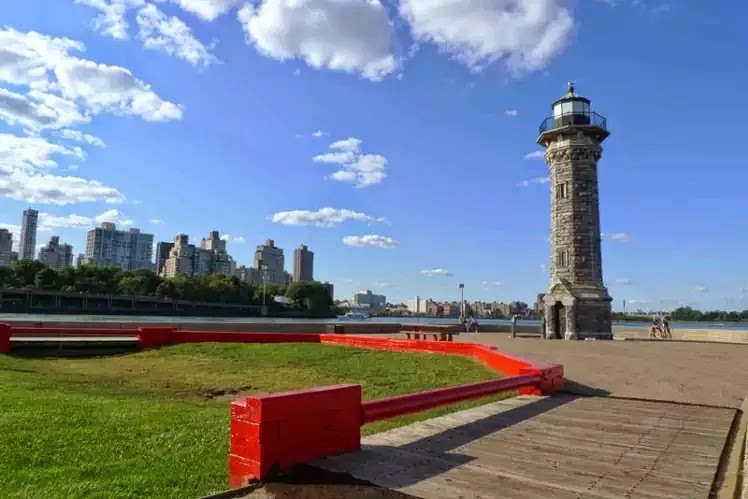 At the northern end of the island we'll be able to sketch the Gothic-revival lighthouse, built in 1872 by the city to help light a nearby insane asylum. The asylum's long gone, but there's some shady lawns and sitting spots by the lighthouse that look north towards Randall's Island. It's truly a unique vantage point. A block south of the lighthouse - Roosevelt Island's Smallpox Hospital ruins - a mid 19th-century structure built as an island retreat. Five years ago it was refashioned as high-end housing. Show and Tell: 2:45, Leave the north end of the island and we'll take the Tram back to the big island. 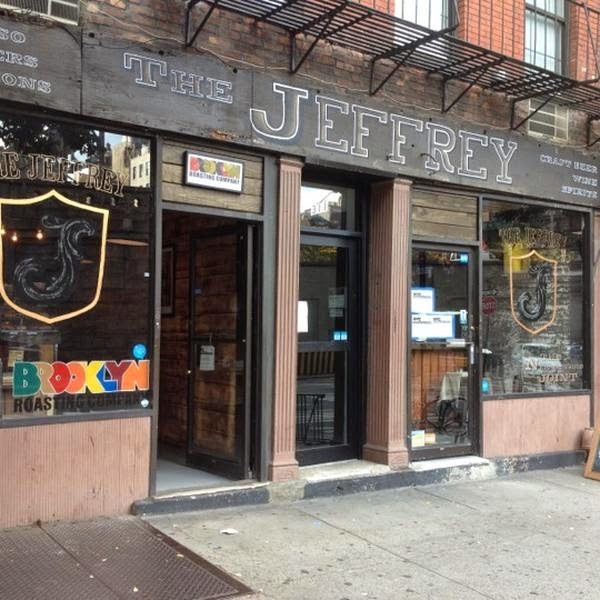 It's a short walk to the Jeffrey Craft Beer & Bites Bar, located at 311 E 60th St at 2nd Ave, to continue sketching, and for us to share drawings, good stories and beer, coffee, tea or wine if you're so inclined (food too if you like). How: In Manhattan, the entrance to the system is at Tram Plaza at 60th Street and Second Avenue. The closest New York City Subway station is the complex at Lexington Avenue / 59th Street (N Q R trains on the BMT Broadway Line and 4 5 6 <6> trains on the IRT Lexington Avenue Line. Lexington Avenue – 53rd Street (E M trains) on the IND Queens Boulevard Line and Lexington Avenue – 63rd Street (F train) on the IND/BMT 63rd Street Lines are also nearby.